Cold days and dark nights are already here, and the Christmas season is only a month away. Tables will be overladen with food and drink, and TV schedules will be crammed with movie repeats. Knowing what to eat and drink requires self-discipline, and deciding what movie to watch depends upon curiosity and informed opinion. No need to worry. Help is available from Red Rattle Books. 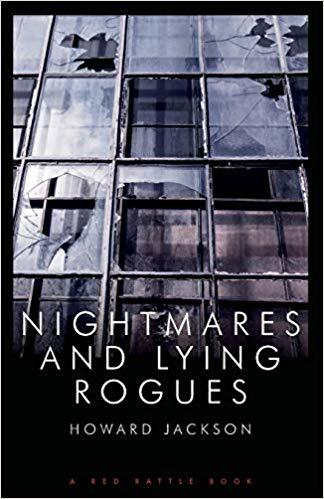 Nightmares And Lying Rogues is the third and final collection of film criticism from critically-acclaimed writer Howard Jackson. It complements the previous collections Horror Pickers and Mean And Dark. Nightmares And Lying Rogues has independent thought and analysis on a wide ranging selection of films that includes both the famous and obscure. Over half of the reviews address horror movies. Those seeking real winter chills will not be disappointed. The rest collects movies from the film noir and western genres. All the films are rooted in the dark, neurotic and sinister. Few of the films will feature in the Christmas TV schedules, and each of the reviews has a link to a contemporary political issue. It has been that kind of year. This time there is an attempt to make sense of what we have been told by both moviemakers and politicians and to understand the nightmares they leave behind. Enjoy the cold dark nights. Howard Jackson was born on Merseyside and has spent most of his life in Liverpool. He has had seven other books published by Red Rattle Books entitled Treat Me Nice, Innocent Mosquitoes, No Money Honey, Nightmares Ahead, Choke Bay, Horror Pickers and Mean And Dark.